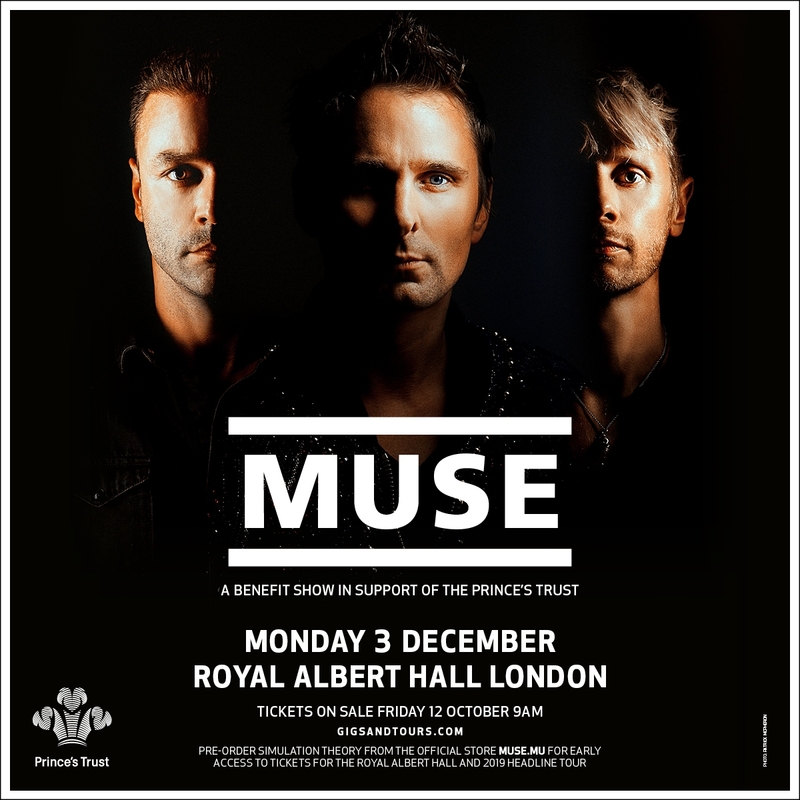 Muse will perform at the Royal Albert Hall in London in support of The Prince’s Trust on Monday 3 December. Pre-order Simulation Theory from the Official Store before Sunday 7 October at midnight BST for early access to tickets to the charity event and 2019 headline shows. If you have already pre-ordered the album, your early access code and instructions will be emailed to you on Monday 8 October. Tickets will be extremely limited and sold first come, first served. There will be a two (2) ticket per customer limit. Early access to this show will begin Wednesday 10 October at 9a BST. 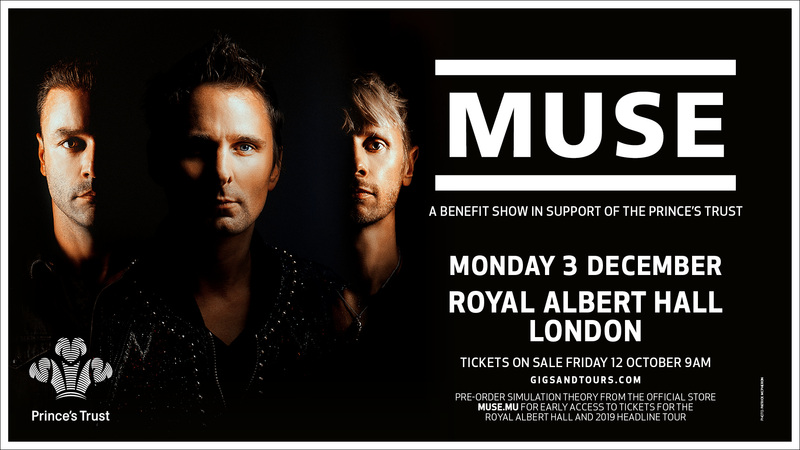 General sale will begin Friday 12 October at 9a BST. Ticket resale will be strictly limited to Twickets, a fan-to-fan ticket resale platform. Full tour dates and early access to 2019 tour tickets will be announced at a later date. Pre-order the new album HERE. Available in stores 9 November. 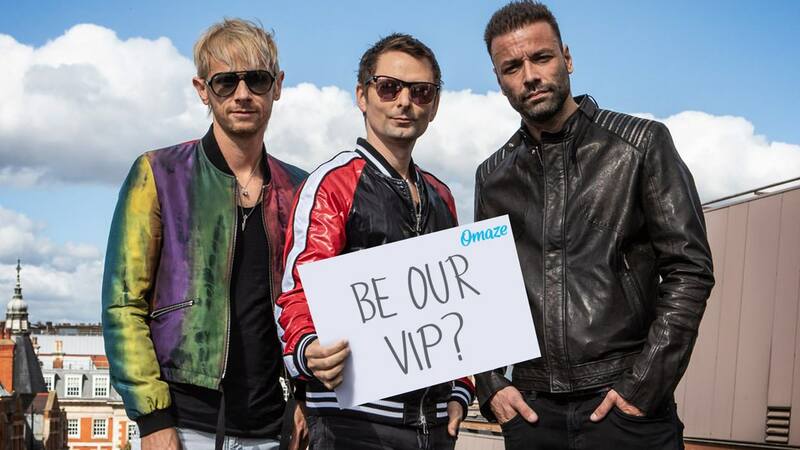 Muse have partnered with Omaze to give one lucky fan and a guest a once-in-a-lifetime experience to attend the Royal Albert Hall benefit as a VIP of the band! The grand prize includes VIP tickets to the show, a song dedicated from the stage just to you, a private tour of the venue with the band, a group photo plus airfare to London and a stay in a 4-star hotel. All proceeds to benefit The Prince’s Trust charity. To enter, please click here.